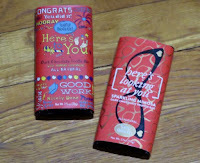 Greetings and Welcome to Day #9 of Chocolate and Celebrating 12 Years of Chocolate Series. 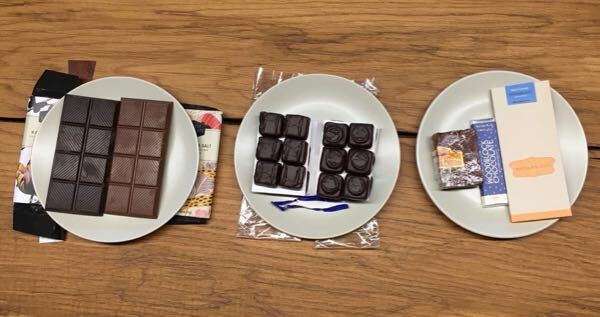 Seattle, WA and Portland, OR, are both high chocolate IQ cities. Today was a true Chocolate Banquet day, with a spread of different birthday chocolates from these two Pacific Northwest hot spots (thank you all). Chocolate is always sweeter when shared with others. 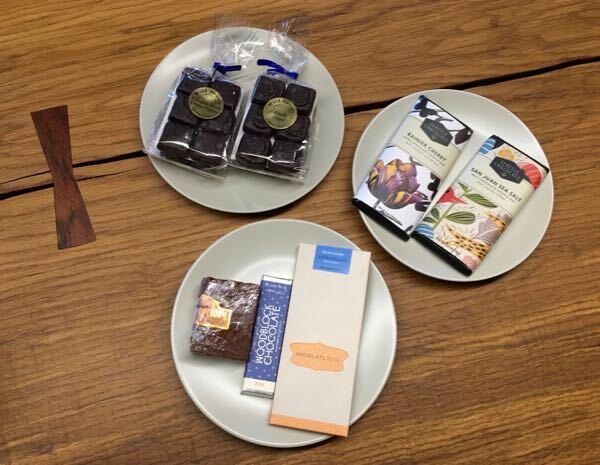 Other chocolates included a 72% Bacon Caramel bar (made with cacao grown in Ecuador) from Xocolatl de David (Portland, OR), and a Salt dark chocolate bar from Woodblock Chocolate (Portland, OR)—made with cacao from Peru and Ecuador.